Technical and professional seminars aimed at exhibitors and public alike. 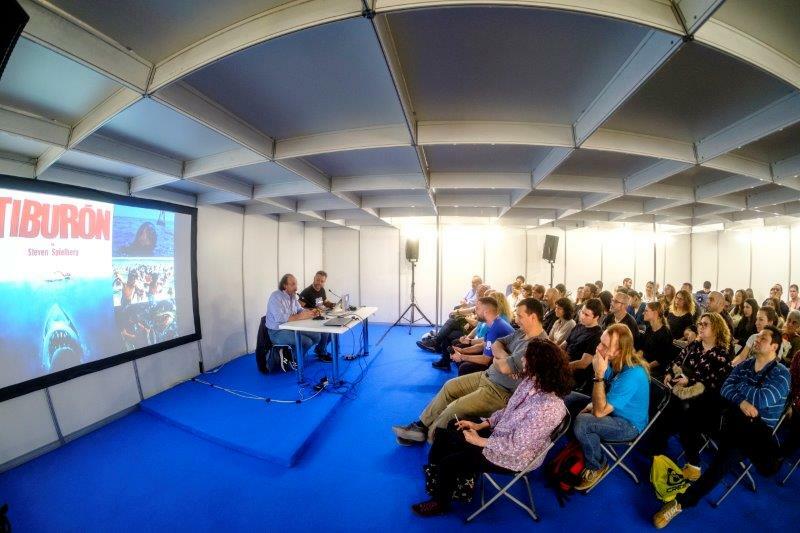 A three day fair where the exhibition centre converts into ”Mundo Submarining “ (Diving World ),the best showcase to exhibit material through diverse means projections , debates , speakers and interesting destinations. 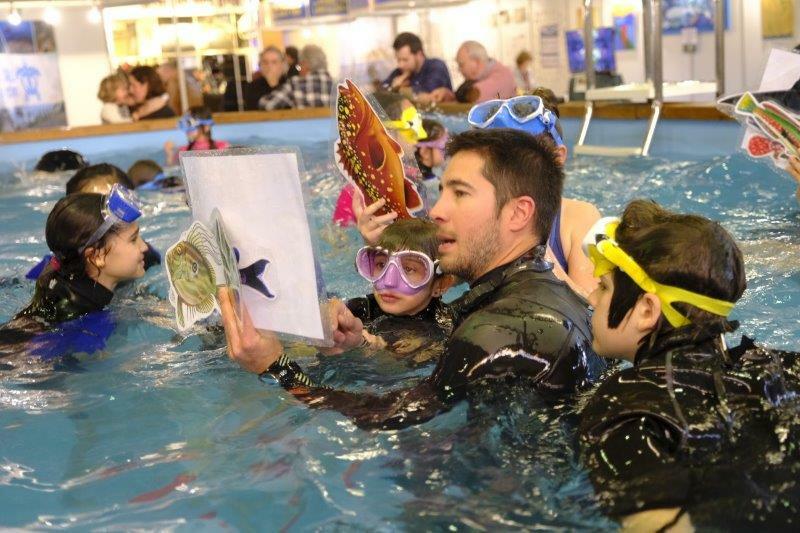 If you want a start in the world of diving you can have your first dive in the swimming pool installed in the exhibition centre .With the help of professional instructors you can do your first dive properly equipped. In addition the swimming pool is the stage to enjoy and witness simulated rescues. On the other hand our exhibitors can use the swimming pool to show their products underwater by involving our visitors . Saturday, February 16 at 7:30 p.m. and Sunday, February 17 at 12 p.m.
Cristian Perfumo: “Swift, two centuries under the sea”, documentary about sunken ships in Patagonia. Manel Gil: “The evolution of underwater cinema”. Winning documentary of the Bronze Barandilla in the 42nd International Underwater Cinema Series of San Sebastián 2018.